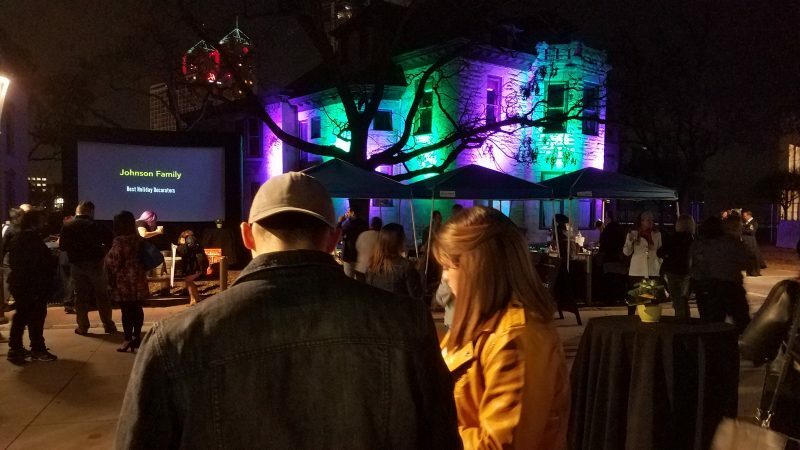 Living Light Shows was the proud recipient of the 2018 annual “Best of San Antonio” award for the category of “Best Holiday Decorators” released this month by San Antonio Magazine. 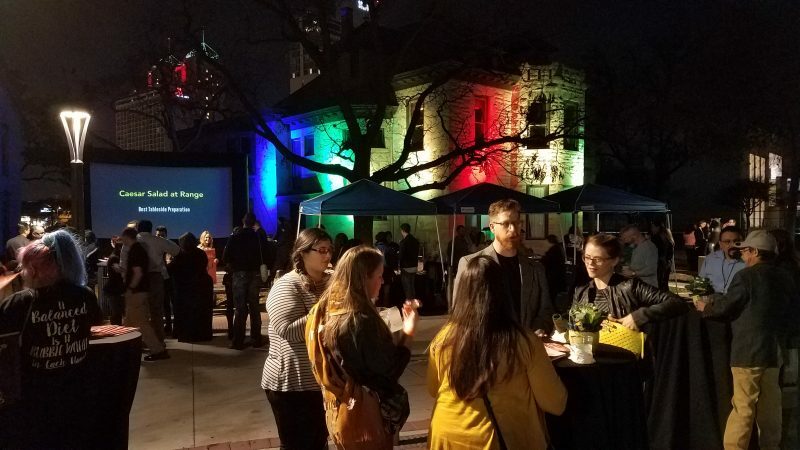 The Best of San Antonio awards are an annual tradition sponsored by large organizations and corporations in and around the South Texas area. 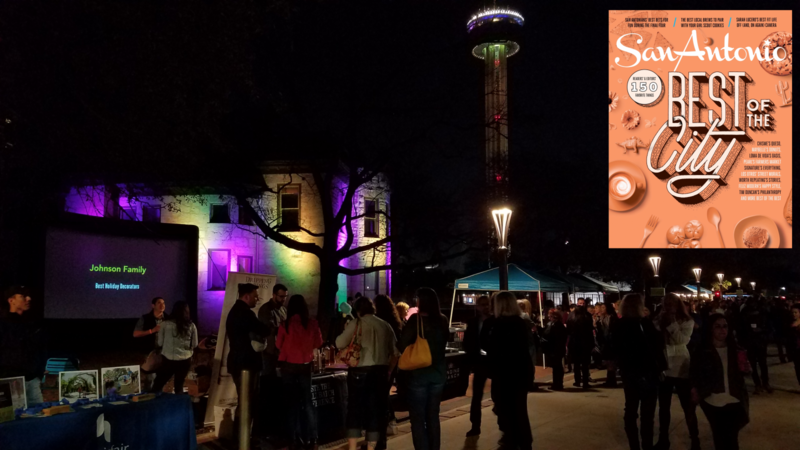 The winners of the award are published in the March issue of the magazine and a prestigious gala is hosted in their honor at the historic Hemisfair park in the heart of downtown San Antonio. 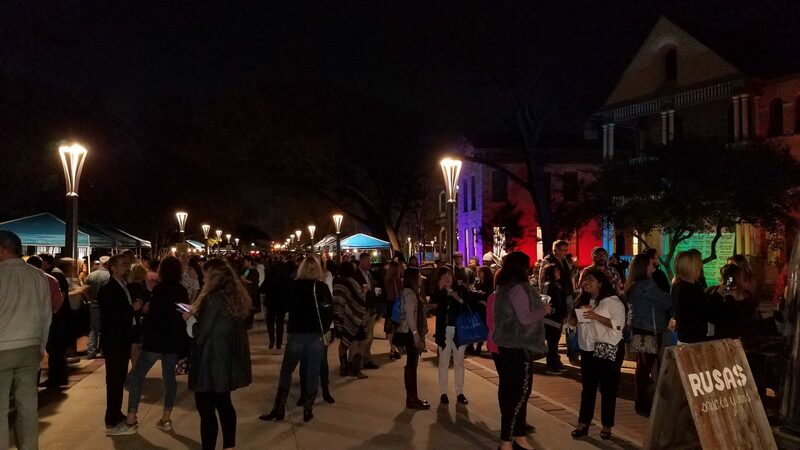 Public attendance at this years event was at historical highs and Living Light Shows proudly showcased some of our latest capabilities by illuminating the historic structures in the park around the event and in the shadow of the famous Tower of the Americas building. 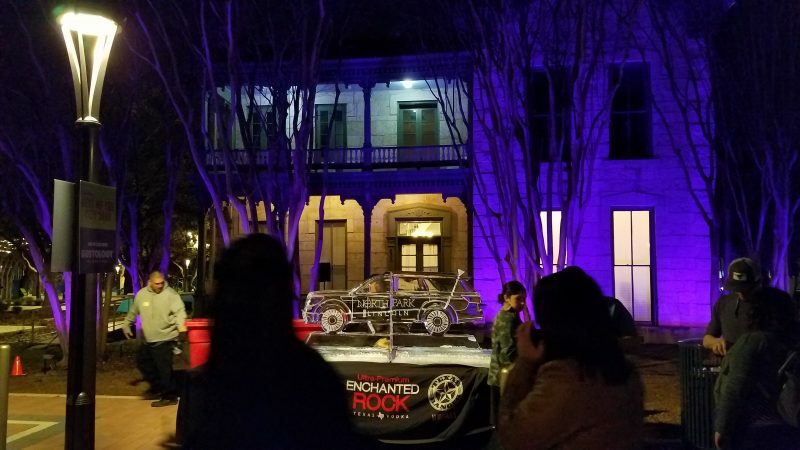 The custom made effects were synchronized between the structures and a light show produced that mesmerized those in attendance played throughout the duration of the event. 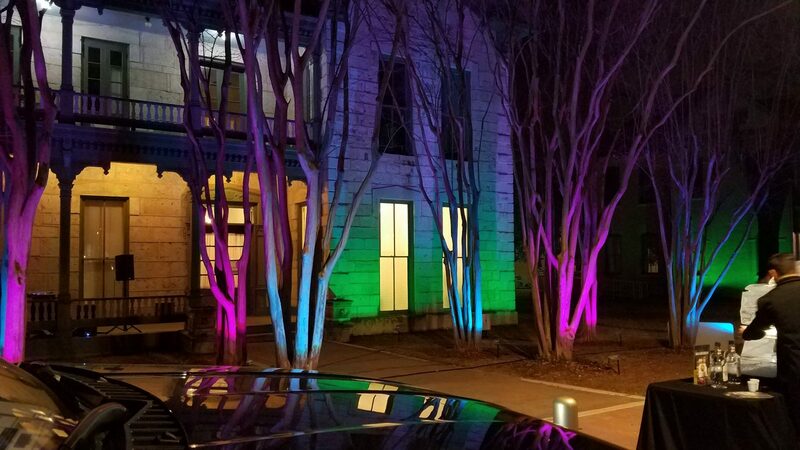 Below are some photos that demonstrate how effective our computer-controlled RGB lighting systems were in enhancing the ambiance and mood of the event. 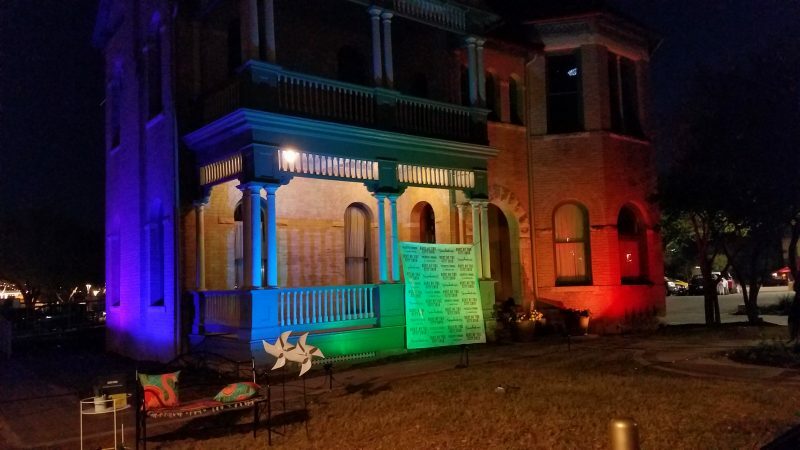 With the light show playing all around them, it truly created an immersive experience that heightened the mood and showcased the latest technologies. For additional information, questions, or to obtain a quote for your attraction or venue please contact us by clicking the button. This entry was posted in Events & Installations. Bookmark the permalink.